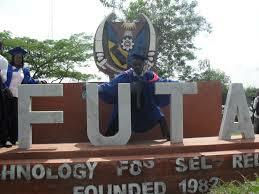 FUTA NEW PUTME CUTOFF MARK IS FALSE... See why. The much more anticipated Futa postutme cutoff for supplementary admission is false. IMPORTANT INFORMATION 📢 from the desk of the FUTASUG. I stand well informed enough after due consultation with appropriate quaters that the rebroadcasted messages is nothing but FALSE. I also seize this opportunity to warn anyone whom will always pop up kangaroo information to gain unnecessary popularity to please desist or else such person shall face disciplinary actions. Confirm from the Students' Union Public Relation Officer or any SUG officials before spreading news that are untrue. This course cutoff are all false, so don't opt-in to it when it's sent to you. This is to inform futarians at large both freshers and returning students that the resumption date hasn't changed, it is still 15th for freshers and 22ND of November for returning students. secondly, the much anticipated school fees schedule will be out anytime from now , but hopefully before the end of this week. thirdly, the admission list will for the new post-UTME candidates will be out anytime soon, pls keep tab and disregard any cut off marks being Re-broadcasted by anyone. also, the FUTA variety night still holds on 14th of November @ sport complex, don't dull and watch out for the artist the DEAN of street affairs #yebo is bringing. Furthermore, the FUTASUG will not tolerate any form of extortion from anyone either landlords, business centres , butlers etc. Happy resumption to you all in advance, and be a good ambassadors of FUTA anywhere you are. PLS share, comment and like..... Lolz.